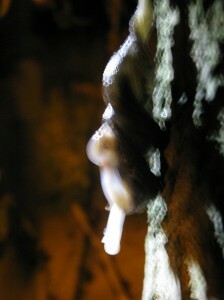 This article contains graphic photos of mollusc copulation and is not for the faint hearted. 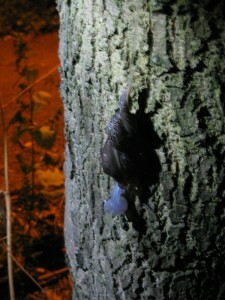 This year’s Bat Walk took place on a warm Sunday evening on the 25th August 2013. 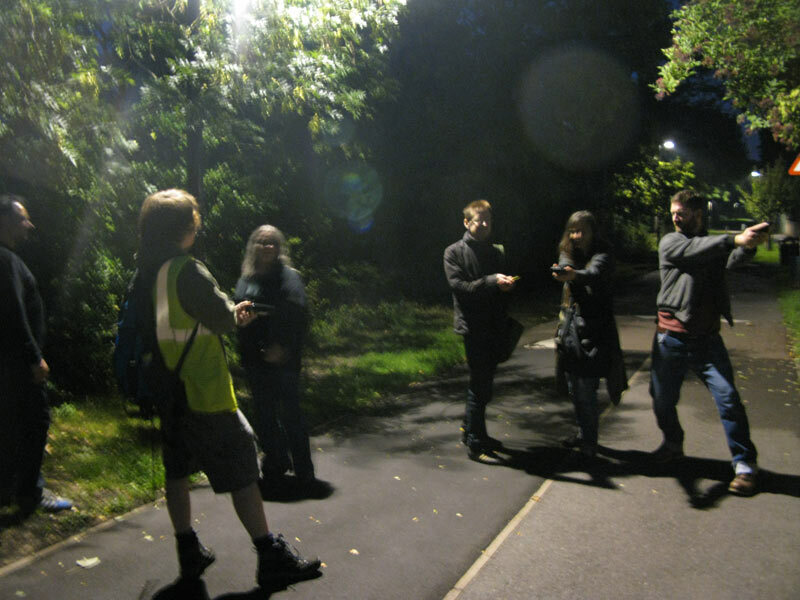 Led by Daniel Greenwood from the London Wildlife Trust, the bat detectors were switched on and the walk began: first DKH Open Space, then across the Greendale Fields to the Greendale path, then back towards the wood and around DKH Open Space. 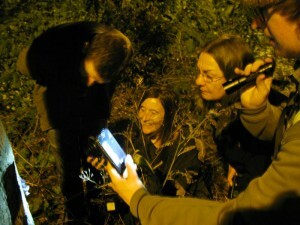 Bat detecting seems tame compared to what came next…. Daniel had earlier mentioned a film he had recently seen showing the mating ritual of the leopard slug. It sounded disgusting to be honest. 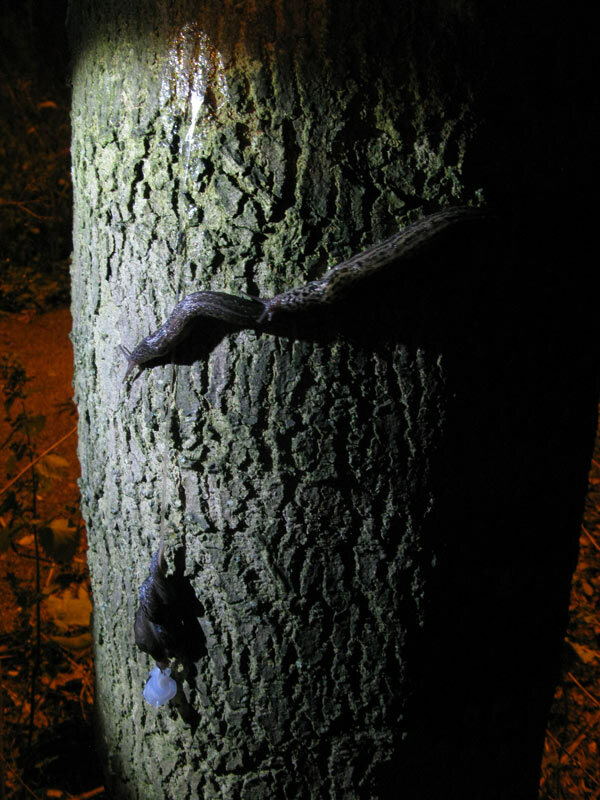 Little did we know that one particular false acacia tree in DKH Open Space was going to reveal this sluggy activity to us innocent bystanders that very night. 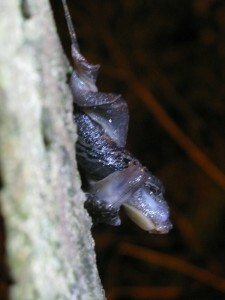 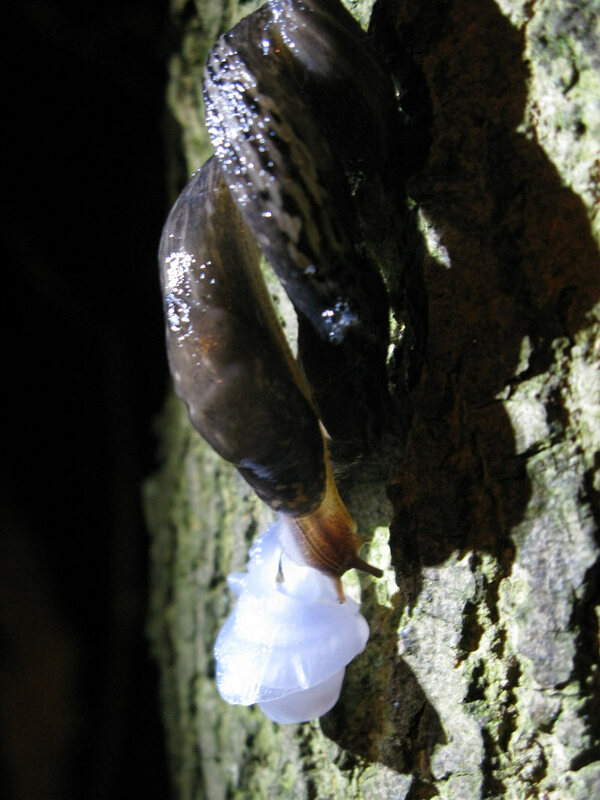 Do slugs suffer from sexual confusion issues? 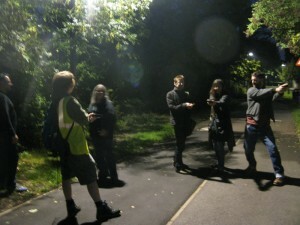 I don’t think so – there’s no gender differences so I imagine that makes things easy? 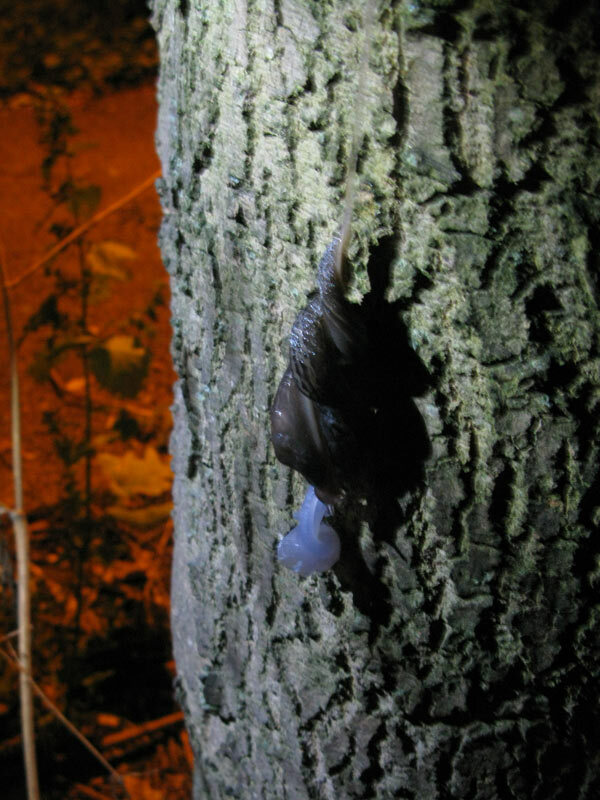 Obviously I’m just guessing – worth asking a slug next time you see one.